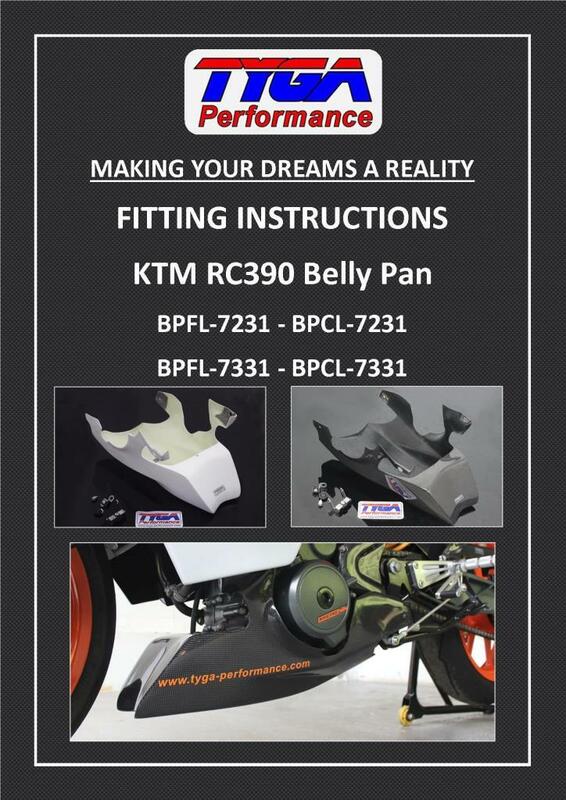 This lightweight belly pan is modelled on the KTM RC390 Cup shape, but being made from high quality epoxy resin, it is stronger and more flexible so more likely to survive in the event of a crash. It is reinforced with carbon/Kevlar at the mounting points and is primed and ready to accept paint. 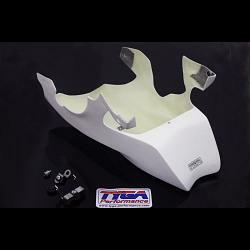 This product is supplied with all mounting hardware (including the left rear stay which is not supplied with the KTM product) so you can install this with stock footpegs or any other aftermarket make such as TYGA Performance. 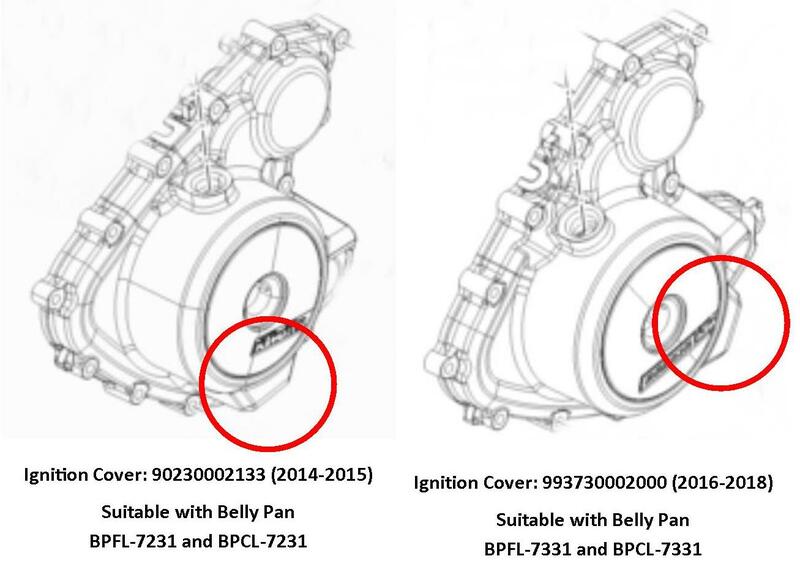 it is also supplied with a rubber bung to make the belly pan fluid retentive. Please note, this product fits the 250 and 390 only. For the 125 and 200 models, we don't have information on if it will fit or not. * Please allow the usual 2 working days before shipping but please let us know if the order is urgent and we will do our best to get it sent the next day.